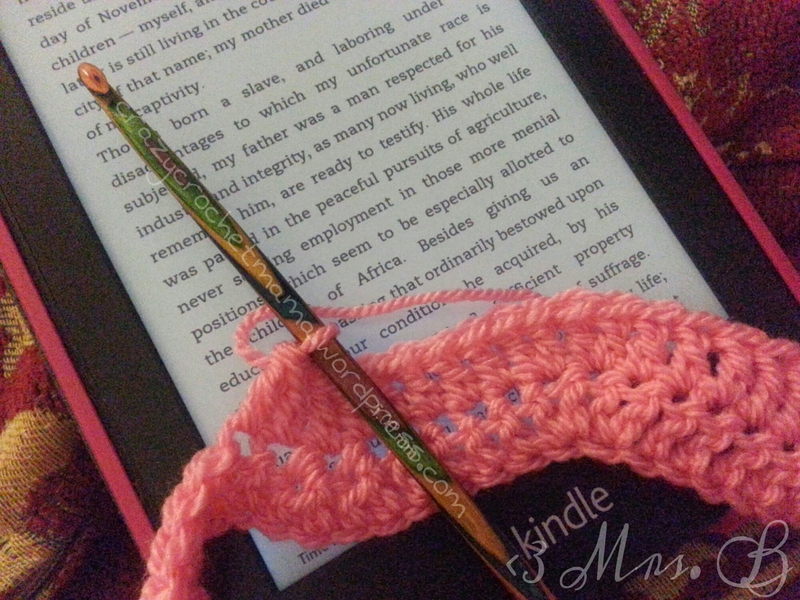 I haven’t done a crochet related update in quite awhile, so over the last couple of days I’ve been having a look through my Facebook page and my phones auto back up photo thing and finding some for you. It’s been a long time since I closed my list for requests for blankets. I think in my head I expected closing my list would mean I could whizz through all the blankets and then spend the end of last year teaching myself how to Tunisian crochet. That isn’t what has happened. What really happened is crochet and I went through a trial period of separation. I just didn’t want to do it, just thinking about it got me stressed and my mind would race too much with ideas. All of my works in progress halted. The two blankets that were in progress/started this time last year are still in progress. There was the granny bobble spiral which I just could not get to work as it got bigger. 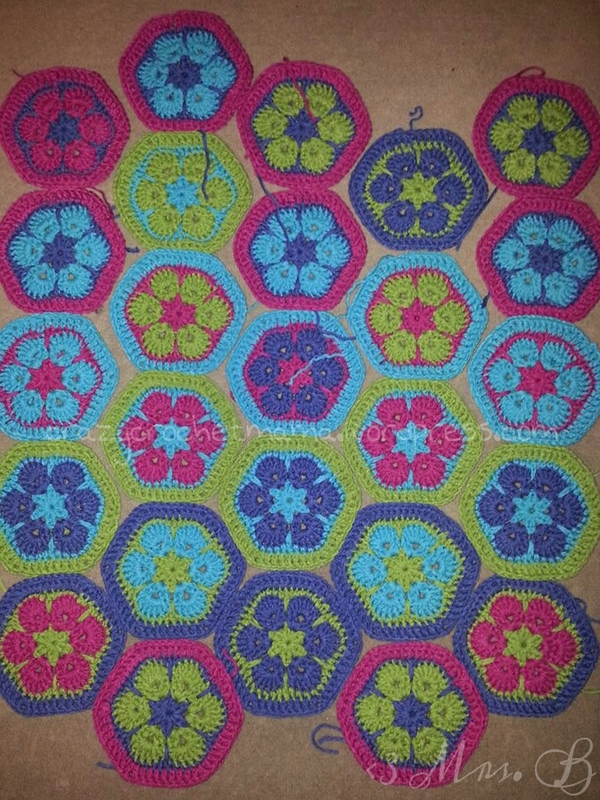 So after a couple of failed attempts I ripped it out and started all over again as an African Flower blanket. Looking back I’d started it around this time last year and the early pictures were from around Mr. B’s birthday which was this weekend just gone. Again getting the border right on this one has caused nightmares. There have been 3 attempts. The first two have been ripped out as the first one increased the stitch count around the border and made it look all saggy. The second attempt just didn’t go with the blanket at all. So that was around 20 hours of work. Up until that point I had totally fallen out of love with this blanket. And aside from occasionally doodling down ideas in my little notebook for when my head is racing, I also almost completely fell out with crochet. 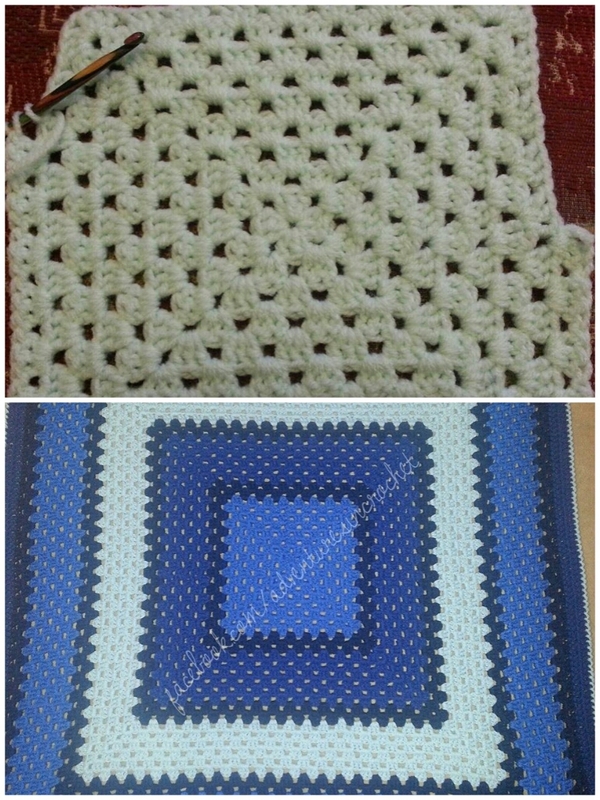 The top picture is a little mint granny square I made for MJs cuddly toy tigger. The one underneath is a toddler bed sized granny square made in Red Heart Super Saver (worsted weight) to be honest at first I didn’t like that yarn at all. It wasn’t soft (& I wasn’t brave enough to try some of the ways to soften it that were on pinterest!) And I’m used to working with Double Knit yarn, so it took a while to adjust to it. And once it was finished and had been through my rigorous soaking routine before being washed, I can say that Red Heart Super Saver *does* soften. It’s still not as soft and squishy as say stylecraft special DK but with a bit of TLC it is soft. That blanket lives at our house because it was all that Little H was asking for at Christmas. 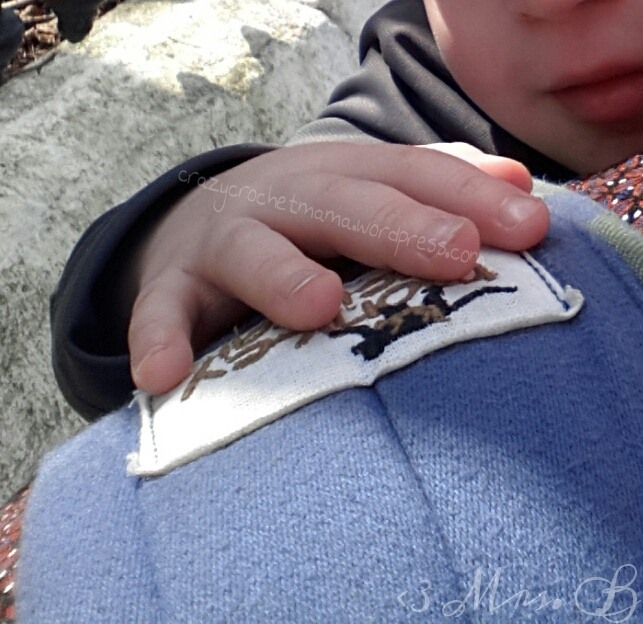 “A blue mama blanket” (well that and a blue mini) who am I to deny him?! I also made MJ a little rectangle whose size doesn’t compare to the blue square, however I can’t find a picture so I’ll talk about that another time! 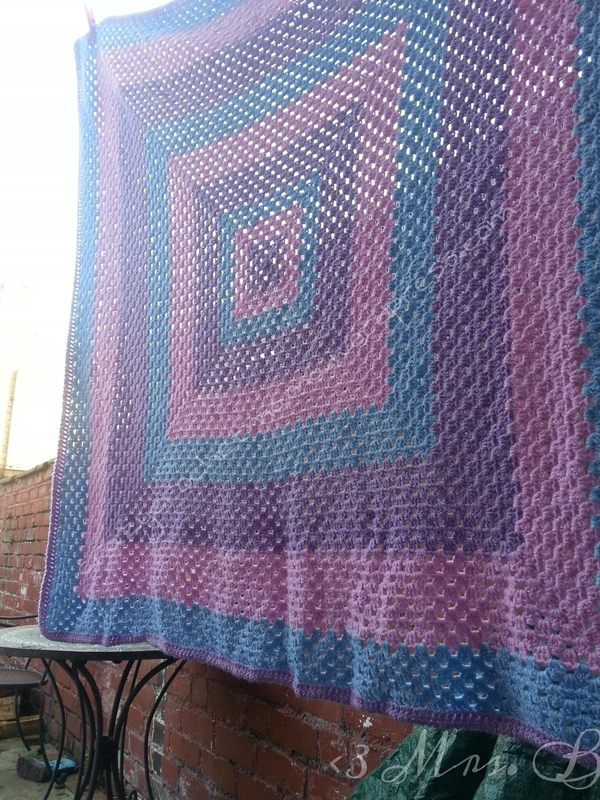 So with the balls left over, and my god daughter’s original magic blanket starting to show how much love and cuddles it’s had over the last 7 years I started to make her a new one. I of course had to order more yarn, I think I only needed two balls of each colour. 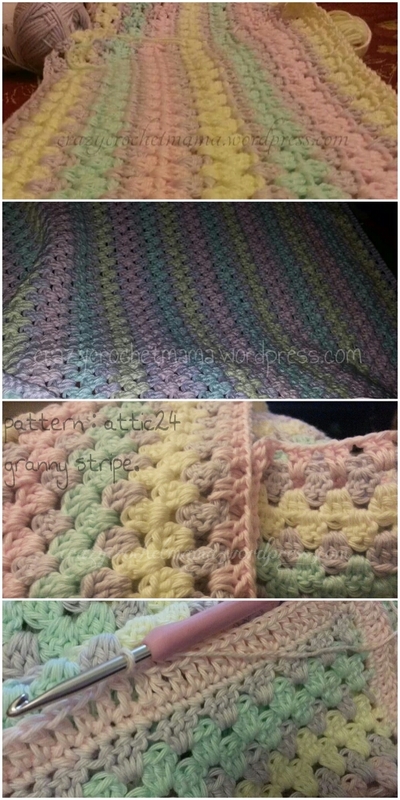 And as it was the first full blanket I have made using stylecraft special DK at the beginning I was thinking “it can’t be all *that* special” (attic24 uses it and a lot of other blogs I follow) and almost straight away I was in love. It’s so soft and easy to work with. 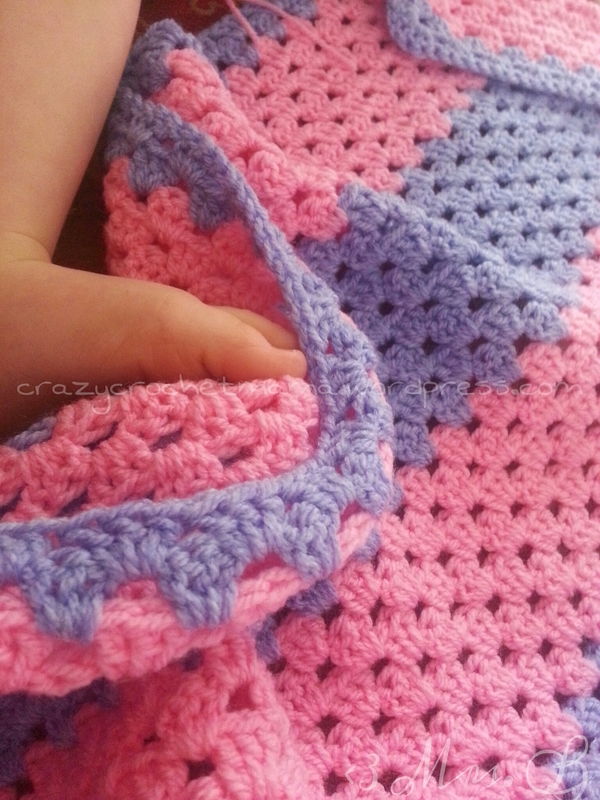 This pink and purple blanket just makes me smile. It’s not made out of fancy yarn, it’s the acrylic stuff I can get from my local market (called new fashion I think, I’ve seen other bloggers not local to me using it too) and the yardage on it is fab. This is a granny rectangle, only the 2nd rectangle I’ve made, and like MJs I’ve winged how to do it so it’s different to MJs (because his wasn’t quite right) but I’ll be altering my way to do it again I think. It’s not quite finished (need to sew in the last few ends) and then it’ll be having a soak. Hopefully I’ll be able to show you a completed blanket picture soon! I think the last blanket I'll talk properly about, will be my current 'easy' blanket. This blanket is special. All of my blankets are special. This one is for a lady from our weight watchers group who is lovely, so happy and cheerful and friendly. She also has downs syndrome and at the end of last year she was diagnosed with a rare form of cancer that sometimes occurs in downs syndrome patients. As a group we did a card and one of the ladies got a big teddy and wrote all of our names on pieces of ribbon and pinned them to the teddy. It just felt like I needed to do something more. So I started a blanket. 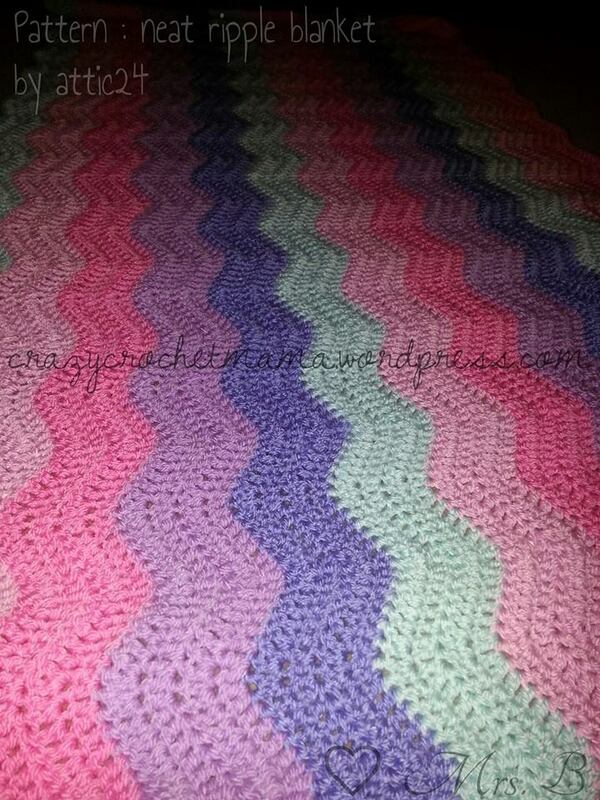 A ripple, because nothing makes me smile more than seeing a ripple blanket. And after talking to one of the ladies from WW who is a friend about what colours G likes I ordered a load of stylecraft special DK from The Wool Loft. And that’s when their customer service came into play. I had an email from Liz letting me know that one of the colours I’d asked for was out of stock and offering me an alternative colour or to wait until they got it back in. I didn’t see the email for a couple of days and they sent me a message on Facebook (I’m a liker of their page and have ordered via Facebook before so I was easy to find!) To let me know. I chose the alternative and got to work as soon as it arrived. All I can actually take credit for is holding a hook and it miraculously coming together as the pattern is Attic24 Neat Ripple (also available on her blog but the link isn’t working atm) and the colours are thanks to stylecraft and their special DK range. The choice is amazing! It is almost finished, and because of my vastly overestimated foundation chain it will be vertical ripples! (It’s almost 5 ft! ) 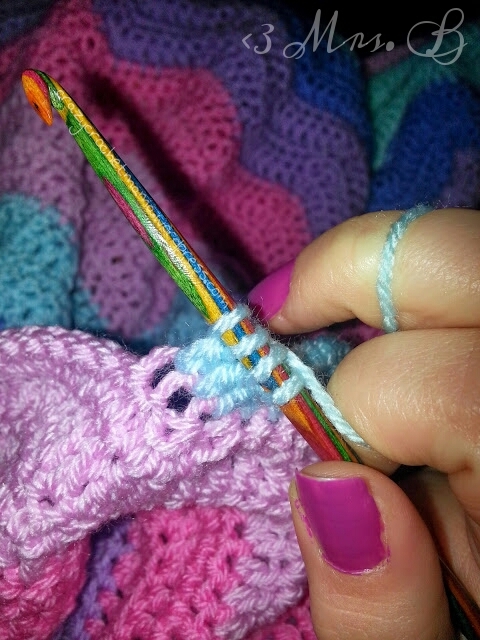 and as you can see I’ve done 4 rows of each colour instead of 2 so that the colours really have chance to shine. I love it. And as I said before stylecraft have a fan for life in me now!! I’m not going to carry on, I have more stuff to share, and there are possibly people reading thinking I’ve forgotten what I was in the middle of for them. I haven’t, I’m just slowly falling in love with crochet again. That was yesterday. 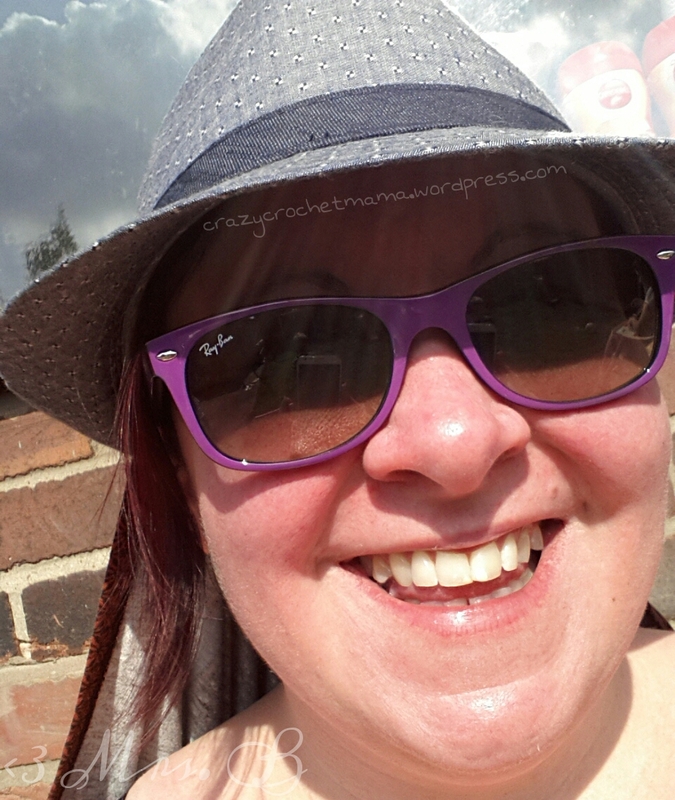 The sun was letting the rain have a day off! Normal service has resumed today! I didn’t know what prematurity was. Love all your blankets! 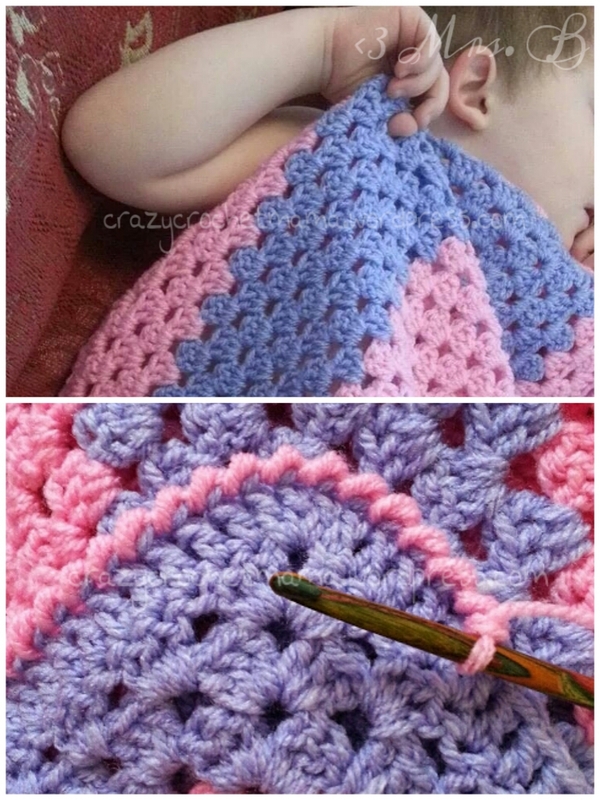 :-) I too often find that choosing the right edging for a blanket can be the trickiest part. Do you like the stylecraft yarn better than red heart? I have never used stylecraft yarn. How does it hold up with washing? Does it pill?